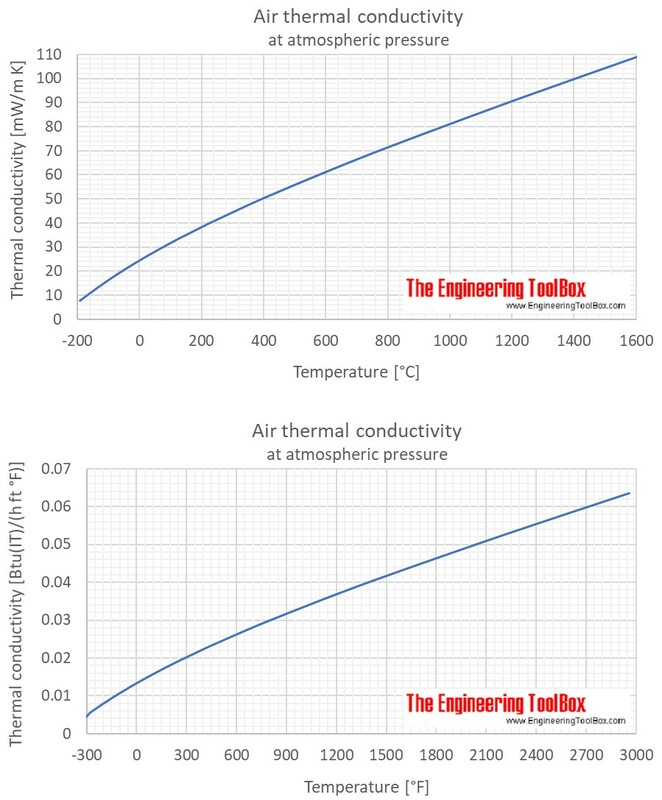 Online calculator, figures and tables showing air thermal conductivity at varying temperature and pressure, SI and imperial units. 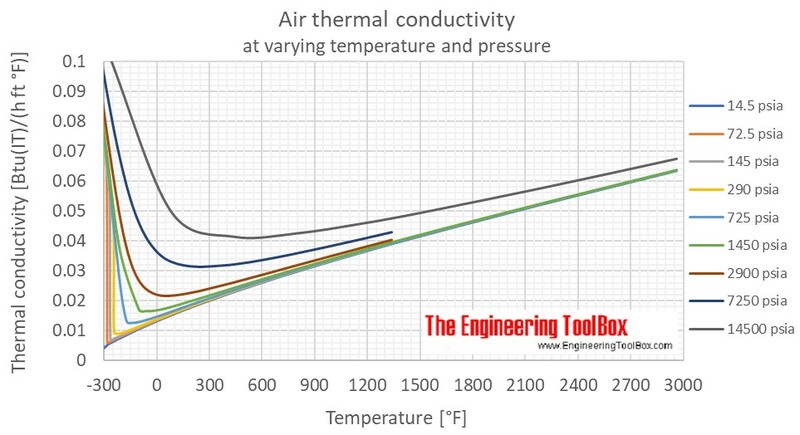 The calculator below can be used to calculate the air thermal conductivity at given temperatures and pressure. 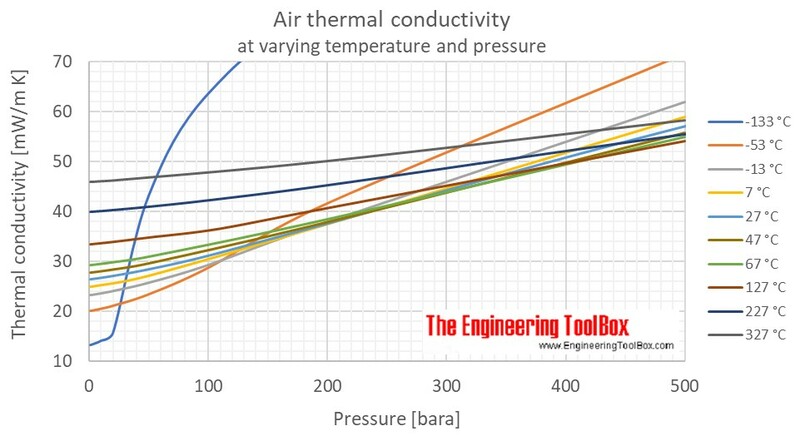 as well as thermal conductivity of ammonia, butane, carbon dioxide, ethane, ethylene, hydrogen, methane, nitrogen, propane and water. Engineering ToolBox, (2009). 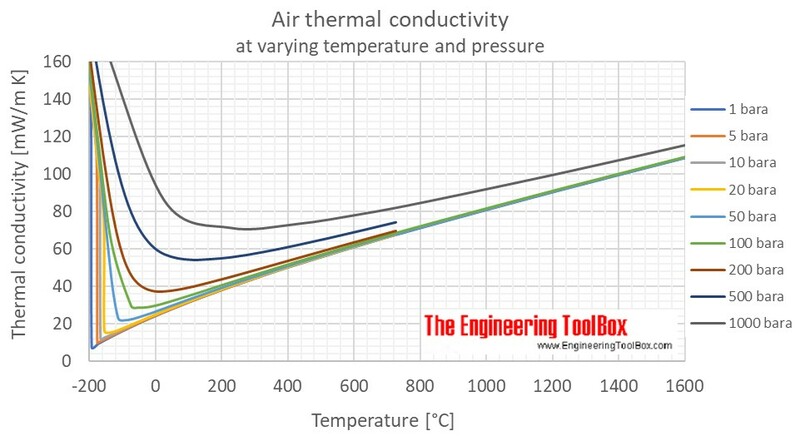 Air - Thermal Conductivity. 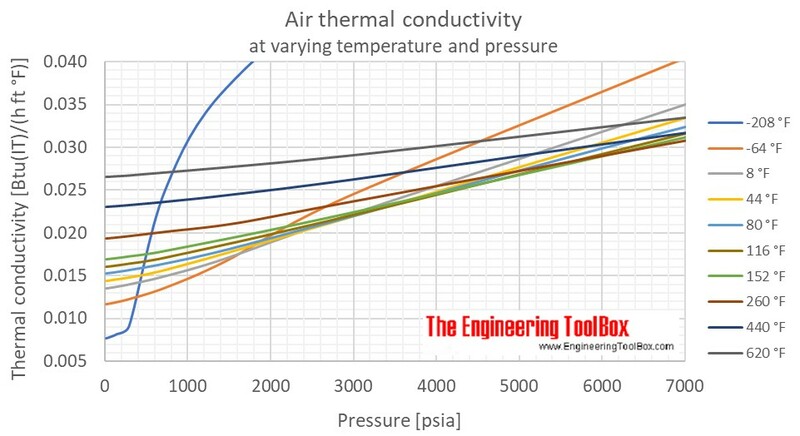 [online] Available at: https://www.engineeringtoolbox.com/air-properties-viscosity-conductivity-heat-capacity-d_1509.html [Accessed Day Mo. Year].